I've had this little guy on the back burner for a while now that I've been on placement for the last month. 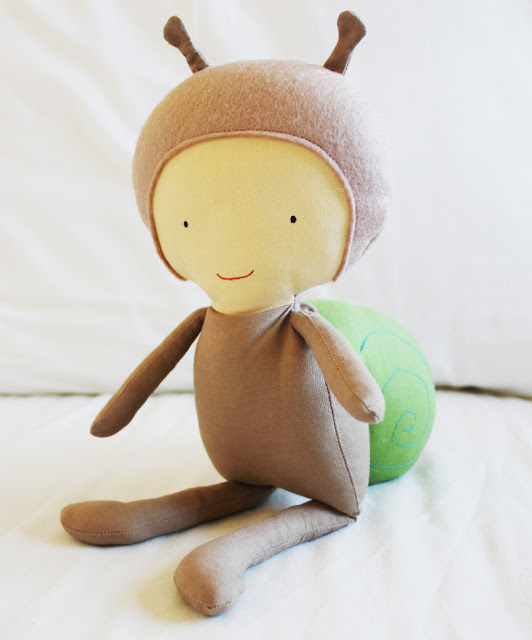 I wanted a boy garden themed doll to match the girly ladybug pattern, and a little snail seemed like the perfect toy. Snipes and snails and puppy dog tails and all that! 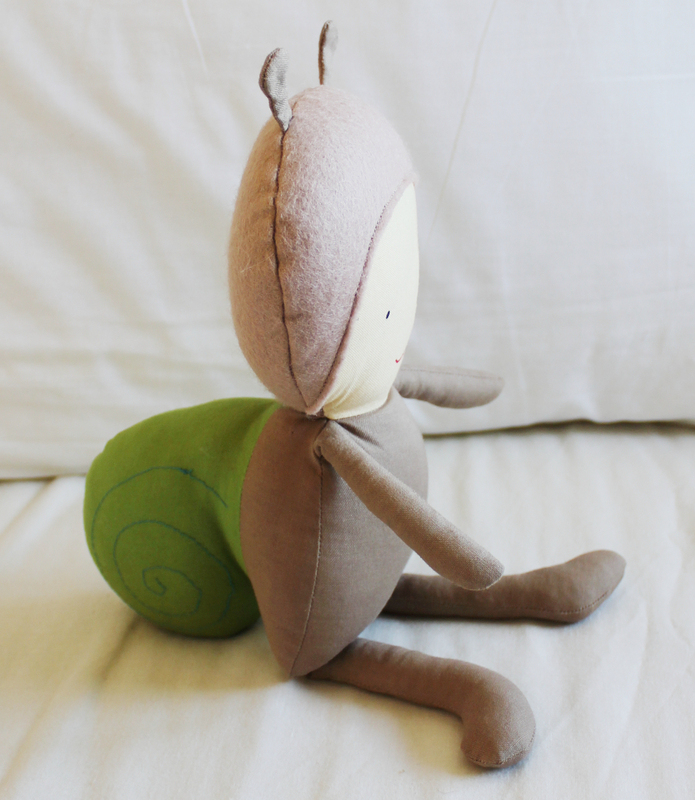 We had so much fun taking the photos for this pattern, my little boy didn't want to let this little snail toy go. 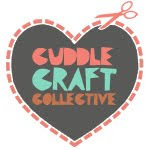 I hope your little ones love the design just as much, I'd love to see some of your creativity using some funky colours. If you love him feel free to share him on Facebook, Twitter or Pinterest. I have two more designs being drafted at the moment, but I'm undecided as whether to bring out some holiday themed patterns instead. I've had a few people ask for Halloween and Christmas themed patterns so I'll get my design head on and the sketchpad out and see what I can come up with. As always I'll keep you all updated with any Elf Pop developments. Love the snail, what a perfect compliment to the lady bug!! I think you should release any pattern you want to! They are all amazing! !